While thursday may have seen some unofficial meetings and some agendas being cleaned up for the annual USA Hockey Winter Meeting, the official kick off is actually today. This 2013 meeting should be like no other. There are several reasons to believe this may be one of the most controversial winter meeting ever. The first clue can be found in USA Hockey not publishing all of the agenda items and proposals for public view. This is not only uncommon, it is so uncommon it would appear to be secretive in design. Junior Expansion or relocation of NA3HL franchises in as many as 8 new locations. Sources within teams of the Atlantic Junior Hockey League, and Metropolitan Junior Hockey League have confirmed that they have indeed sent in their paperwork and financial commitments to join a “division” within the NAHL umbrella of leagues. Two NA3HL franchises in Michigan are also up for approval, while a return to the Chicago area for the NA3HL is also rumored. Traverse City Michigan is expected to receive approval under the guidance of former NAHL Traverse City Coach Anthony Polumbo and St. Ignace Michigan is also expected to receive approval as a development team of the NAHL’s Soo Eagles. Some of these same AJHL and MJHL teams have also confirmed the stated intention to either add or convert other junior teams within their family to U-18 and U-16 Midget programs. Also confirmed is a new level of the NAHL. 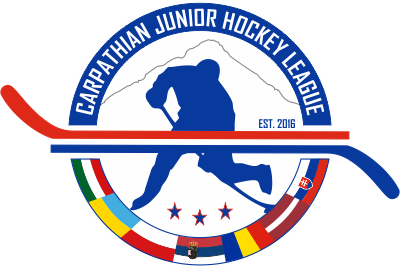 This will consist of at least five teams from the Eastern Junior Hockey League. These teams will be pay to play as they have always been, but they will be allowed to play against the NAHL non pay to play teams. The United States premiere Hockey League will also be up for discussion. Sources have confirmed that the USPHL did not get the appropriate paperowrk in to USA Hockey by the November 15th. 2012 deadline. The paperwork was accepted as being late and has made it on to thew agenda for USA Hockey certification. 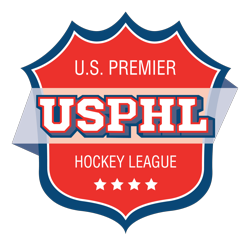 The USPHL, while it may face opposition, is also likely to get USA Hockey approval in the end. Because of the development of age specific programing in the U-14, U-16, and U-18 groups by the founding organizations, they have gained more respect in USA Hockey. Age specifric programming was not always available until recently and implementing that programming was a great strategic move. While the USPHL discussion is expected to be heated, the recent paperwork filings with the NAHL are expected to make it easier for all of these moves to be approved. While not on the agenda, several meetings are expected to take place that involve the formation of, or merger of leagues to form new leagues or working relationships. Also rumored as a hot topic being examined is a USHL development league. While not on the agenda, TJHN has learned that there has been several discussions concerning how best to develop players for the USHL and who is best suited to do it. We expect those talks to continue, but do expect the USHL to name or develop an “Official USHL Development League” within the next twelve months. TJHN will update this story as it develops.